Twitter Feed: Try it Now! January 30th, 2014 by madgett | Comments Off on Twitter Feed: Try it Now! Got a favourite you’d like to see added? Reply using the Comment Window below. Posted in blog itself, E-Resources & Access News, eResources Blog, Twitter | Comments Off on Twitter Feed: Try it Now! The Library catalogue, Voyager, is currently unavailable. Systems staff are working to rectify the issue. This outage is affecting circulation, inter-library loan (ILL), reading rooms and various web services. — Update (3:00 p.m.): All issues have been resolved. — Update (1:21 p.m.): The catalogue is back up and running. There may be continued issues with public workstations Library-wide. 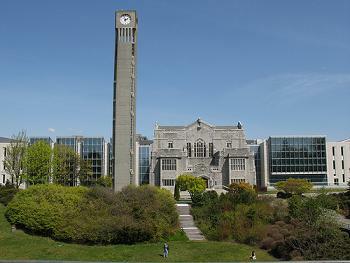 As part of the UBC Library, the Irving K Barber Learning Centre (IKBLC) ‘supports the University’s academic and community engagement missions through space, services, programming and more’. Since 2008, it ‘fosters and supports opportunities for engagement with communities across British Columbia’. 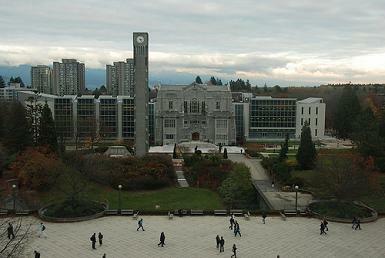 Years later, it continues to ‘engage the UBC Library and the Learning Centre with faculty and students by promoting their research in an online venue’ via several community outreach avenues such as, for example, cIRcle – UBC’s Digital Repository. Presented by local, national and international guest speakers alike, you can watch, listen and/or download a wide range of webcasts and podcasts in areas of Business, Economics, History, Civilization, Libraries, Literature, Languages, Health, Medicine, Teaching, Education, Religion, Sustainability, Law, Science, the Visual Arts, and more. Visit the IKBLC Multimedia collection in cIRcle at: https://circle.ubc.ca/handle/2429/27306. While it was ‘[c]onstructed around the core of the Main Library of The University of British Columbia, the Irving K. Barber Learning Centre (IKBLC) demonstrate[s] the fundamental relationship between the heritage of the past and the potential of the future’. Re-live its grand opening on April 11, 2008 at: http://hdl.handle.net/2429/2520. Carmela Murdocca, To Right Historical Wrongs: Race, Gender, and Sentencing in Canada (Vancouver: UBC Press, 2013). Margaret Davies and Vanessa E. Munro, eds., The Ashgate Research Companion to Feminist Legal Theory (Farnham: Ashgate Publishing Limited, 2013). Lionel Smith, ed., The Worlds of the Trust (Cambridge: Cambridge University Press, 2013). Cathrin Zengerling, Greening International Jurisprudence: Environmental NGOs before International Courts,. Tribunals, and Compliance Committees (Leiden: Martinus Nijhoff Publishers, 2013). Penny Crofts, Wickedness and Crime: Laws of Homicide and Malice (Abingdon: Routledge, 2013). Clive Nicholls, Nicholls, Montgomery, and Knowles on The Law of Extradition and Mutual Assistance, 3d ed. (Oxford: Oxford University Press, 2013). John P. Sanderson & Matthew Wilson, Labour Arbitrations and All That: A Handbook On the Preparation and Presentation of Labour Arbitrations, 4th ed. (Toronto: Canada Law Book, 2013). Ari Kaplan & Mitch Frazer, Pension Law, 2d ed. (Toronto: Irwin Law, 2013). Keith Bracken & Monique W. Dull et al., eds., British Columbia Courtroom Procedure (Markham: LexisNexis, 2013). Jerome A. Barron & C. Thomas Dienes, Constitutional Law in a Nutshell, 8th ed. (St. Paul: West, 2013). Jacqueline M. Nolan-Haley, Alternative Dispute Resolution in a Nutshell, 4th ed. (St. Paul: West Pub. Co., 2013). Yuanshi Bu, ed., Chinese Civil Law (München: C.H. Beck, 2013).